One hundred years ago this month, meetings were held in Cork City to showcase the rationing of beer and stout. The Beer Restrictions Act cut down the manufacture of such products to one-third of the output. A letter to the editor of the Cork Examiner on 2 June 1917 by a representative of the retail traders Mr Michael O’Mullane explains the effects of rationing. Accordiing to Mr Mullane the curtailment had turned to a drastic situation as the one-third was not fairly or evenly divided on a pro rata basis after the product has left the hands of manufacturers. Hundreds of licensed traders were complaining that they were not getting anything like the one-third of their normal supply. In almost every town in the country there was a brewer agent, or rather purchasing agent. These purchasing agents were, in nearly all cases, retail vintners themselves, and they appeared to be withholding from their former retail customers the greater part of the one-third supply. The purchasing agents claimed they could distribute barrels of stout as they like, i.e. that they could give two or three-thirds to one customer, and one-sixth, one-twelfth, or none at all to another customer. According to Mr O’Mullane, although the liquor traffic was not State controlled it could be argued to be so virtually, owing to the operations of the Beer Restrictions Act as applied to the manufacturers. For the purpose of protesting against the rationing and intentions of the Westminster Government with regard to the Irish brewing and distilling industries, a public meeting was held in Cork City Hall on Friday evening, 1 June 1917. Lord Mayor Thomas C Butterfield presided. The attendance was large drawing interested parties from the city and county. The proceedings were published on 4 June in the Cork Examiner. The Lord Mayor noted that the numbers affected by the rationing were impossible to calculate; “One could enumerate indefinitely the number of people who would be affected by those restrictions, such as the brewers, the brewery workers, the vintners and the assistants. As far as the workers were concerned, it was elementary knowledge that the men employed in breweries and distilleries or maltings were men who had spent most of their lives at their respective businesses, and if they were disemployed, they would be absolutely no use for anything else”. The Lord Mayor outlined that vintners, for the most part, lived by the sale of liquor. Many of them had large families, and that it would be a crime if their means of livelihood was taken from them. The taxpayer, too, would be hard hit; “the revenue from the sale of liquor would be reduced, and this, deficit would have to be made up some way”. The farmers, too, would not have a market for their produce. “It the Government were determined to crush out the distilling and brewing trade in Ireland, they had a right to compensate the people for it”. The City High Sheriff William O’Connor moved a resolution “calling on the Government to relax, or at least to modify, the restrictions at present in force with regard to the Irish brewing and distilling industries which were causing so much inconvenience, hardship and dissatisfaction to the general public, pointing out that such drastic curtailment, as far as Ireland was concerned, was not absolutely necessary”. Despite revealing himself as a teetotaler, he highlighted that what he wished to speak about at the meeting was “the injustice sought to be perpetrated on Ireland by the Government”. 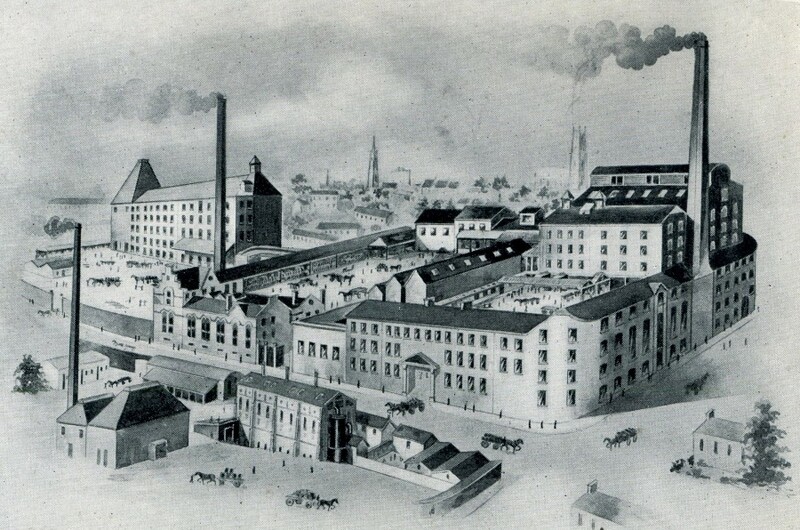 The City Sheriff noted that outside the shipbuilding industry in Belfast, British rule had left Ireland practically no other industry of any importance with the exception of the brewing and distilling industries. The City Sheriff continued his concerns about the effects on the circa 520 public houses in Cork city, with its population of about 76,000—that was one public-house for every 150 persons. 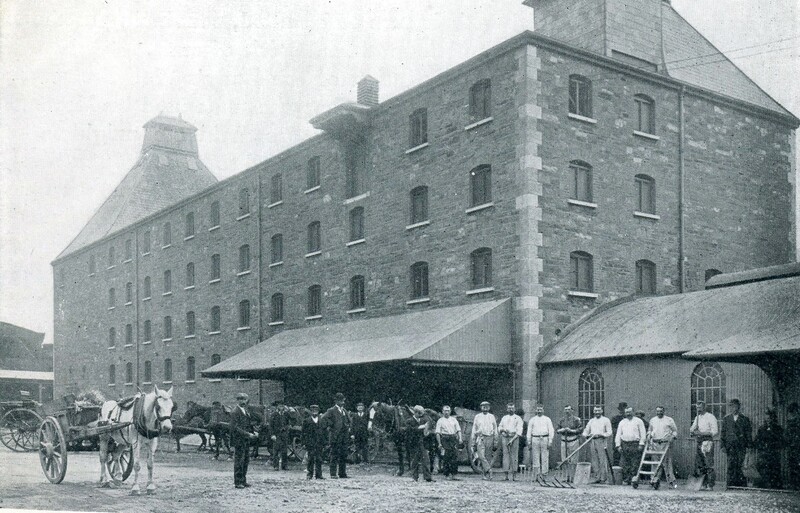 The Cork breweries employed around 500 men, and he had been informed that as consequence of the regulations of the Government one brewery discharged 70 men and at another brewery 30 men. He questioned the future employment prospects of those made redundant; “What was to become of these men – that was a point that deserved their most serious consideration. The licensed vintner?, the vast majority of whom were respectable men and women, had always contributed in a most generous manner to all charitable objects as well as to every movement for the betterment of the people and the country, and were those traders, after putting all their savings into their promises, to be thrown on the roadside?”. To him, the licensed vintners circulated a large amount of money and gave a good deal of employment, and he held that if they were to be treated in such a manner they should be given adequate and reasonable compensation. Cllr Timothy Sheehy said they should demand of their members of Parliament to “strike a decisive blow in their cause”. He argued that for a century England had starved the industries of Ireland, and they were now going to continue that policy. He believed the meeting would have a great effect on the vital question of whether they were going “to allow Lloyd George and the Government crush out those great industries”. After several more passionate speeches, the motion was unanimously passed.